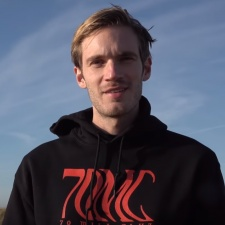 Right-wing UK political party UKIP has urged its followers to support YouTube star PewDiePie after his comments on Article 13 and his subscriber battle with T-Series. UKIP then tweeted other online accounts that hold far-right views and post conspiracy videos. Content such as this and UKIP's show of support is probably not what PewDiePie will want to be associated with if he aims to fight off negative media portrayals of his conduct. Controversial videos in the past have seen him criticised online and played a part in advertisers fleeing YouTube. The tweet comes after PewDiePie urged his fans to take a stand against the incoming threat of Article 13, the European Union’s new bill which is set to crack down on copyright law. PewDiePie has yet to respond to the show of support. Is PewDiePie about to lose his YouTube crown?